Today at Build 2017, Microsoft unveiled many cool new technologies, but there was one particular announcement that truly touched the hearts of many in attendance. Called "Emma," it is a wrist wearable that can help people suffering with Parkinson's disease. The device is named after the Parkinson's sufferer that helped Haiyan Zhang, Innovation Director at Microsoft Research, create the device. What exactly does it do? Well, the incurable disease causes body tremors in those inflicted, and as a result, Emma has very shaky hands. This disease makes it impossible for her to draw straight lines or write legibly. With the wearable on her wrist, however, normal writing and drawing is possible. Remarkably, how it works isn't 100 percent known. "While the wait for a cure continues, Zhang has created what she hopes could be a 'revolutionary' aid for reducing tremors. The Emma Watch uses vibrating motors -- similar to those found in mobile phones -- to distract the brain into focusing on something other than trying to control the patient's limbs. Put simply, Zhang believes Lawton’s brain is at war with itself -- half is trying to move her hand, the other half is trying to stop it. The two signals battle and amplify each other, causing the tremors. The device stops that feedback loop," says Microsoft. Zhang, the inventor, explains, "It's all about listening to Emma describing her experience because that's one of the only ways you can understand what’s happening with her physiologically, and then drawing insights from that. She said she could observe her hand tremoring but no longer felt the tremor because the vibrations from the device were coming in place of the physical sensation of the tremor. I think what happens with the device is … her brain no longer senses the hand tremoring and is no longer trying to do that loop of stopping the hand from tremoring." As you can see in the above video, the wearable instantly improved the quality of life for Emma. It is worth noting that Zhang made the product look cool and whimsical -- it doesn't appear to be a medical device. Yeah that matters, as people don't want to wear something that constantly reminds them of a disease. Instead, this wearable should conjure feelings of hope and style. I particularly love the lowercase script font. Simply using a pen or pencil is something many of us take for granted. With more than 10 million people suffering from Parkinson's, Microsoft's breakthrough invention has the potential to help many. Hopefully a cure will eventually be found, however, making such a device unnecessary. 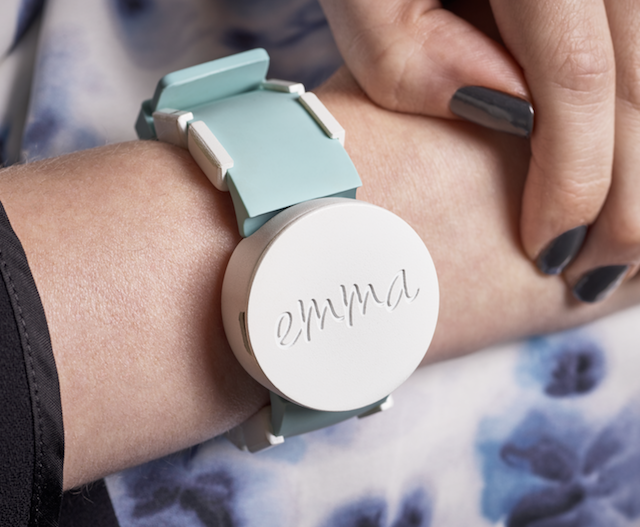 What do you think of Microsoft's "Project Emma" wearable? Tell me in the comments.